Born and raised in Alberta, Canada, Kim Dorland draws heavily from two main inspirations: the Canadian landscape (and the tradition of Canadian landscape painting) and his wife (and the psychology of portraiture). 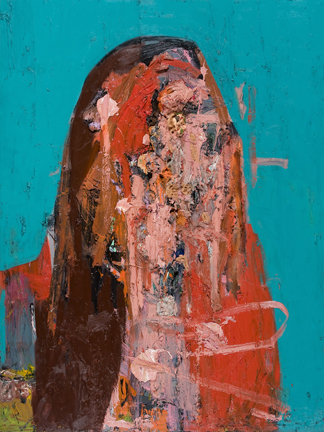 Dorland’s work pushes the boundaries of representation through an exploration of memory, nostalgia, narrative and identity He is represented by Mark Moore Gallery in L.A., Mike Weiss Gallery in New York and Angell Gallery in Toronto. Dorland graduated with a Bachelor of Fine Arts from Emily Carr Institute of Art + Design in Vancouver and a Master of Fine Arts from York University in Toronto. His work is included in public and private collections in Canada, the U.S. and Europe. Dorland lives and works in Toronto, Canada.